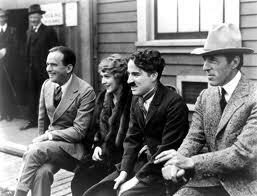 On this day in 1919 – Charlie Chaplin, Mary Pickford, Douglas Fairbanks, and D.W. Griffith launch United Artists. This entry was posted in Uncategorized and tagged Chaplin, Fairbanks, Griffith, Pickford. Bookmark the permalink.